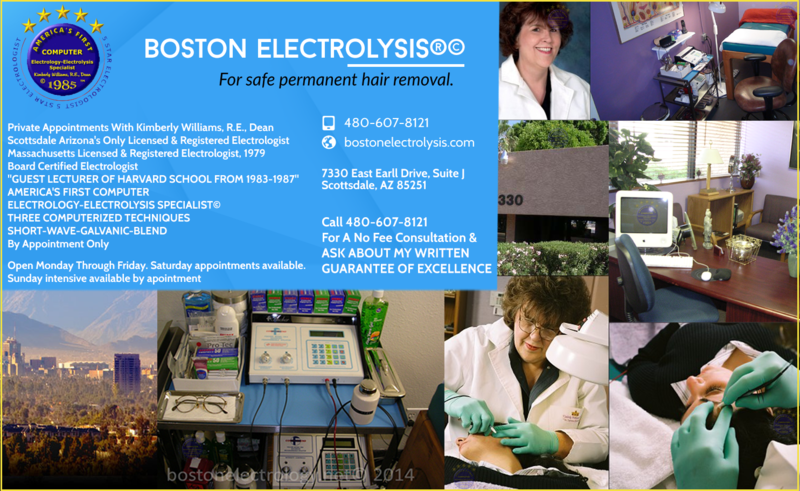 Boston Electrolysis® - AZ Licensed Electrologist vs Unlicensed Electrologist? Which is the best? AZ Licensed Electrologist vs Unlicensed Electrologist? Without one doubt the state Licensed & Registered is your best and only choice to achieve safe permanent hair removal The uneducated unlicensed electrologist cannot compare to the educated state licensed electrologist who spent years of education, study to make the effort to become a state licensed and registered electrologist. Without one doubt desktop publishing, fake diplomas and rhyming certification titles such as certified professional electrologist are meant to confuse the consumer because it sounds professional. On the other hand the certified professional electrologist certificate title is a cruel hoax meant to confuse clients that they are professionals electrologist. In states with bare minimum requisite coursework with no practical training and examinations are a sham at best. No doubt about it certified professional electrologist, the certified clinical electrologist and the certified medical electrologist titles lack medical theoretical education and practical training. These Desktop Diplomas are strictly for quacks and are obtained through a bogus semi-quasi professional organization that does not require the electrologist to be state licensed and registered to become a member. Their sole purpose is to as appear as a professional electrologist to food the consumer to call them. It is amazing that these people with no education purchase a white lab jacket, white shoes and bogus certificates and they actually believe they are a certified professional electrologist. However a real electrologist will say, Massachusetts state licensed & Registered Electrologist and you can confirm that with my state board. State is licensing and registration is absolutely the best. If your electrologist has met all the licensing criteria in your state or a state with no licensing, you can be assured that you'll be treated with the utmost care and professionalism. Certification is like a cheap paint job on a Mercedes however the Mercedes is already gorgeous and why you want a cheap paint job to make it really stand out? If you are an Arizona resident with an unwanted facial hair problem you are concerned about quality electrolysis for safe permanent hair removal. This article will help you learn how to rate an electrologist. However regarding the lack of a professional education with by an uneducated non-licensed electrologist leave allot to be desired. It is most important that all consumers learn how to evaluate an electrologist to understand the safety of electrolysis and the dangers of hair removal practiced by non-licensed personnel. For the record all competent state licensed and registered electrologists possess a requisite basic fundamental education, which is the cornerstone foundation for her to provide you with a safe comfortable treatment to achieve your goal permanent hair removal. The Electrolysis-Electrology profession in Arizona has always been besieged by exaggerated claims of hair removal methods by uneducated non-licensed electrologists plus other assorted individuals posing and claiming to be self-taught do it yourself Electrologists. Nevertheless our non-licensed certified professional electrologists deceptively advertise amongst us. These unlicensed, poorly trained amateurs never attended a state board approved electrolysis school in any form or manner. On the other hand every consumer has the right to know their Electrologist's credentials and professional abilities before the start of a treatment. Last but not least always ask them if they are professionally educated state licensed and a registered electrologist. 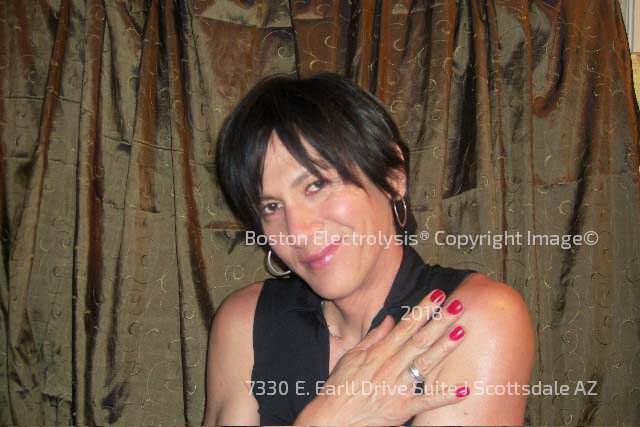 Boston Electrolysis® is strictly electrolysis and when you walk in my door you do not have to parade by curious chatty hairdressers, receptionist, manicurists, skin care personnel, laser operator's, Botox injections, high pressured laser closers and make up sales girls. Boston Electrolysis® is a one on one specialized service so you can achieve your goal of permanent hair removal in privacy. Woman and Transwoman receive expert treatment and do not have to explain themselves, feel uncomfortable, or psychologically challenged. Below is the Boston Electrolysis Five Star Electrolysis-Electrology rating system, for which I have received negative comments, coupled with harassment and threats fake non-licensed amateurs claiming to be a Certified Professional Electrologist, Certified Clinical Electrologist, and Certified Medical Electrologist. One individual claims to be the only graduate of the Arizona School of Electrolysis and the Arizona School of Electrology which are fabricated schools that never existed. This properly licensed and registered electrologist is fed up with all the hoaxes perpetrated upon our profession by unqualified, uneducated, non-licensed electrologists. For the record I am the only licensed and registered electrologist in Arizona that provides every patient with a written guarantee of excellence. Arizona's first and only electrologist who guarantees in writing that after one treatment, if you can locate a better electrologist, brings me the receipt and I will refund half your first treatment fee up to a half-four. In addition to that, even on difficult cases, I can work at one-third to one-fourth the time of the average electrologist - licensed or unlicensed. I also guarantee that you will have the most comfortable treatment with no scabbing, scarring or pitting as direct result of my treatments©. Five stars is always the best rating. It means that your Electrologist is educated, trained, tested and is a State Licensed and Registered Electrologist. Five Star Electrologists have attended and graduated from a state monitored and nationally approved and accredited electrolysis school. They have also taken a dual written and practical State Board of Electrologists examination and successfully passed them, and are currently a licensed and registered. Licensed and registered have a responsibility to obey the rules and regulations of their State Board of Electrologists.. Even though my practice is in Scottsdale, Arizona I run it as if it were in Massachusetts. That means my office, equipment and treatments are accountable to a State Board Inspector who could walk in at any time and inspect my office. This includes equipment, sterilization and all professional requirements. If you are unconvinced about your Electrologist's credentials, ask for their pocket license and call their State Board to verify them if you are doubtful. This rating system also includes Electrologists who attended a school with a defined curriculum in which the students are trained by a licensed and Registered Electrologists with a minimum of five years experience using a late model computerized epilators. Three Stars define an Electrologist who has attended a school where there is no state board and license and registration for electrologists. These Electrologists should have at have completed a minimum of 400 hundred hour course. One must be cautious if the electrologist's instructors where not licensed and registered electrologists themselves, as this will directly affect the quality of their training, and therefore your treatments. Always beware of "Certified Instructors". Electrolysis is a profession that cannot be passed down from one unlicensed electrologist to another without a serious loss of competence and safety. Two stars are for non-licensed and non-registered electrologists who have taken a course of 120 hours or less. These electrologists purchase memberships and credentials to electrologists' associations that do not require an electrologist to be licensed and registered in addition they use counterfeit bloated certificates, exaggerated titles and fancy schmancy ornate diplomas to appear professional. They often claim they are a certified electrologist. They put multiple initials after their names and list non-licensed organizations there members to look impressive, but you would be surprised that you could complete their 50 to 12O hour course they took in with ease. You would also be amazed that some organizations are too lax in checking credentials. However ask yourself would you go to physician who took such a course? These quick-buck diplomas are often called "Certified Professionally Trained Electrologist", "Professionally Certified Instructed" and so on. Whenever you see "Certified" that means that 99.75% of them are non-licensed and non-registered. Beware of these electrologists because they have minimal rock bottom training and some have dubious ethics to say the least. Be aware that this is not a profession that can be mastered in 120 hours of training. One should doubt anyone who claims a standard of professional ability from these correspondence and certification courses. You should ask yourself how can one non-licensed electrologist confer a professional title on another one? Tsk, tsk the one star electrologist limits their practice to states where there is no state board of electrologists, because they know they would be shut down by a state board for the simple reason that their credentials lack professional training and their ethics would not survive professional scrutiny. These so-called electrologists have no scruples or ethics, they adopt any title they see fit, their training is minimal with the average being 50 to 120 hours and very often they use faddish, unproven treatments. They use lasers, electric tweezers, microwave treatments, gels, ointments, Pico-flash and will tell you electrolysis is painful when it is not. After advertising themselves as electrologists they will switch you over to the dangerous ineffective laser, microwave, intense light treatments often without a physician present, as required by law. They lie to you while telling you the laser isn't painful when the F.D.A. ruled that it's illegal for them to advertise or claim permanent and painless hair removal. They also illegally advertise permanent hair removal by laser. The F.D.A. has ruled that only Electrologists may advertise "Permanent Hair Removal." So if a so-called certified electrologist wants to give you laser treatments, ask them to put it in writing that it will be permanent and painless like they claim Laser Parlors also will ask you to pay up to $3000.00 in advance and they will finance and it will cost you a fortune in interest alone. Never pay in advance for Laser Treatments because if you can't tolerate them you still have to pay for them. For your safety always ask the Laser Parlor Operator for a written guarantee of permanent and painless hair removal before you part with your hard-earned money. It is very easy for them to switch you over to a laser treatment when you have unknowingly signed a consent form to have electrolysis treatments, unless you read the fine print carefully. When in Arizona beware of electrologists that claim to be certified professional electrologists, certified clinical electrologists, certified medical electrologists and the certified clinical and medical electrologists are store bought diplomas. If you have the slightest doubt or inkling they are not licensed call their state board of electrologists for verification. Make sure you call their State Board Of Electrologists, not the American Electrology Association who certified them. The only people that can license and register electrologist is a governmental State Board of Electrologists. If an electrologist claims to be a Certified Professional Electrologist they are not licensed and registered. There was an electrologist in Prescott, Arizona known as Betty Sullivan who claimed to be licensed but after an investigation they found out she was a licensed manicurist from Minnesota who does not have a state board of electrologists. THE CERTIFIED ELECTROLOGISTS AND THEIR DEFINITIONS. It's a known fact that certification titles do not mean a person is a state licensed and registered electrologist and good example is the Certified Professional Electrologist course. Always remember non-licensed electrologists try to appear and want you to think they are licensed and registered as an electrologist, example they use Jane Doe, C.P.E. Certified Professional Electrologist. Bonafide licensed and registered electrologists will always advertise, Kimberly Williams, R.E., Massachusetts Licensed & Registered electrologist. For the record it is my professional opinion that the Certified Professional Electrologist that paltry certification course by itself does not prepare a layperson in any form or manner to be able to perform a safe competent electrolysis treatment. These questionable electrolysis certifications courses and diplomas appear, infer and bestow ornate diplomas and titles with credentials upon undeserving frauds who think that its alright to purchase an education and their credentials even the course they took was from 50 to 120 hours long. Additionally the certification tests are elementary grade school level hoaxes consisting of simple true and false and multiple-choice questions. In addition they do not require a high school diploma, background check nor do they require individuals to take an electrolysis "Practical Application" examination in any form or manner to prove they are competent. However in the end these desktop diploma mills turn out Certified Quacks that are an insult to honest licensed and registered electrologists that earned their credentials and successfully completed an accredited electrolysis school and passed their dual state board examinations. Consumer beware I have compiled a list of titles that non-licensed electrologists frequently use. Other ways that non-licensed electrologists try to appear as licensed electrologists is to join multiple electrolysis associations, who do not require an electrologist to be educated, state licensed and registered as an electrologist for membership. I repeat these associations do not emphasize nor require state license and registration as an electrologist for membership nevertheless they wholeheartedly promote the proliferation of themselves as uneducated non-licensed Combination Electrologists Laser Parlor Operators. THE AMERICAN ELECTROLOGY ASSOCIATION AND OTHER ELECTROLYSIS GROUPS DO NOT REQUIRE AN ELECTROLOGIST TO BE STATE LICENSED AND REGISTERED FOR MEMBERSHIP. THE AMERICAN ELECTROLOGY ASSOCIATION: Is the ancestral home of the C.P.E. AKA Certified Professional Electrologist course and approximately 90% or more of its members are not state licensed and registered electrologists. The Society of Clinical and Medical Electrologists has changed it name to THE SOCIETY FOR CLINICAL & MEDICAL HAIR REMOVAL, INC. Fact electrologists are not required to be licensed to become a member and 90% of its of its members are not state licensed and registered electrologists. Below Is A Classic Example Of A Certified Non-licensed Electrologist use of titles to fool the consumer that they are licensed and registered As An electrologist. 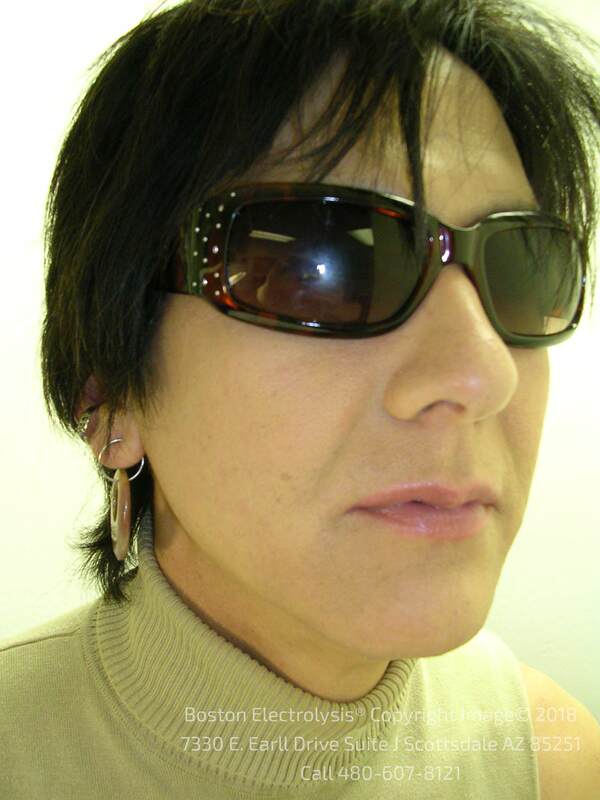 Graduate of the Arizona State School of Electrolysis (An electrolysis School that never existed) was not licensed as a school with the Arizona State Board of Post Secondary Education. The supposed owner of the school was Betty Sullivan an electrologist in Prescott, Arizona who claimed to be licensed in Minnesota. Nonetheless after an investigation they found out she was a licensed manicurist from Minnesota. Minnesota is another state that does not license and register electrologists in any form or manner. However it is amusing that there is a one person who claims she graduated from the Arizona State School of Electrology and the Arizona State School of Electrolysis which are fictitious electrolysis and electrology schools that never existed in Arizona. For the record if you have been to an electrologist who claims to be a graduate of the Arizona State School of Electrology or The Arizona State School Of Electrolysis beware these schools never existed. Fact you call the Arizona State Board Of Post Secondary education at 602-542-5769 and ask for Keith Blanchard, Deputy Director to confirm these schools never existed. You can email the assistant director Keith.Blanchard@azppse.state.az.us to confirm these schools never existed. In addition you can read a letter from Keith Blanchard Deputy Director of The Arizona State Board Of Post Secondary Education where he states there is no record of this school. Below are associations that certify electrologists without being tested for the Practical Application of Electrolysis and Electrology. 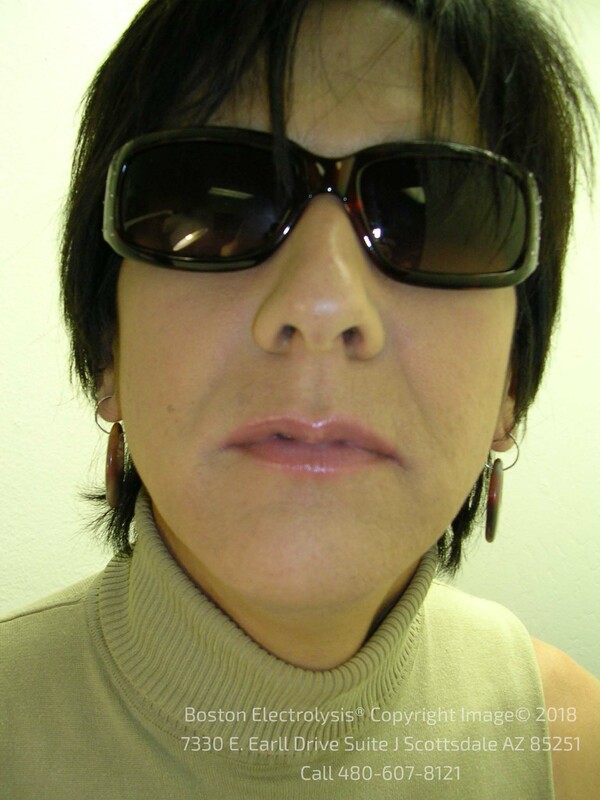 Warning beware of Arizona's one and only graduate and non-licensed electrologists who claims she graduated from the Arizona State School of Electrology and the Arizona State School Of Electrolysis are electrolysis and electrology schools that never existed. Fact and for the record if you have been to an electrologist who claims to be a graduate of the Arizona State School of Electrology or The Arizona State School Of Electrolysis beware these schools never existed. Fact if you are dissatisfied with your treatment you can file a complaint with the Arizona State Board Of Post Secondary education at 602-542-5769 and ask for Keith Blanchard, Deputy Director or email him Keith.Blanchard@azppse.state.az.us. In addition you can read a letter from Keith Blanchard Deputy Director of The Arizona State Board Of Post Secondary Education where he states there is no record of this school. 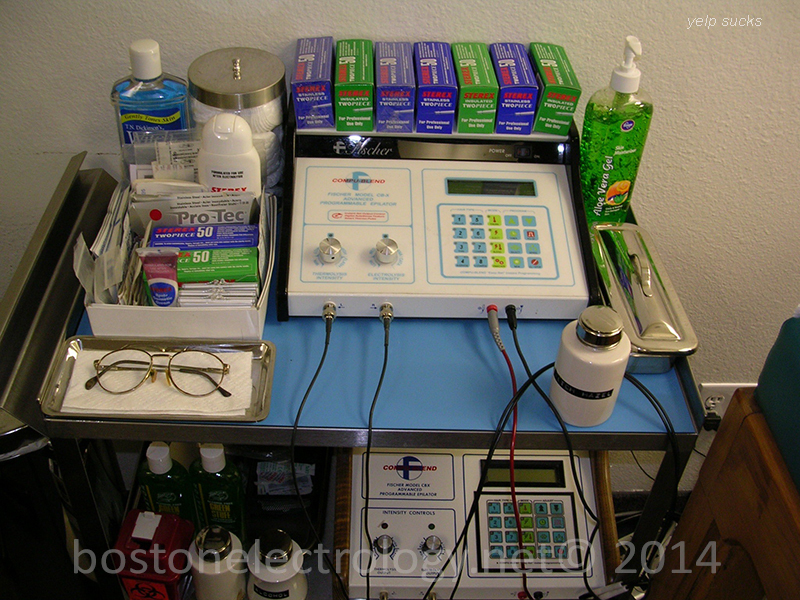 Want to learn more about certified electrologists visit Boston Electrolysis at this link. There are risks in laser hair removal that they'd rather you not know about. You can be permanently burned or scarred, or end up with stripes on your skin from inexpert use that may take months to go away, if they do. Click on the links to see more. I'm Kimberly Williams R.E., Massachusetts Licensed and Registered Electrologist, 1979 and also a Utah Licensed and Registered Electrologist. 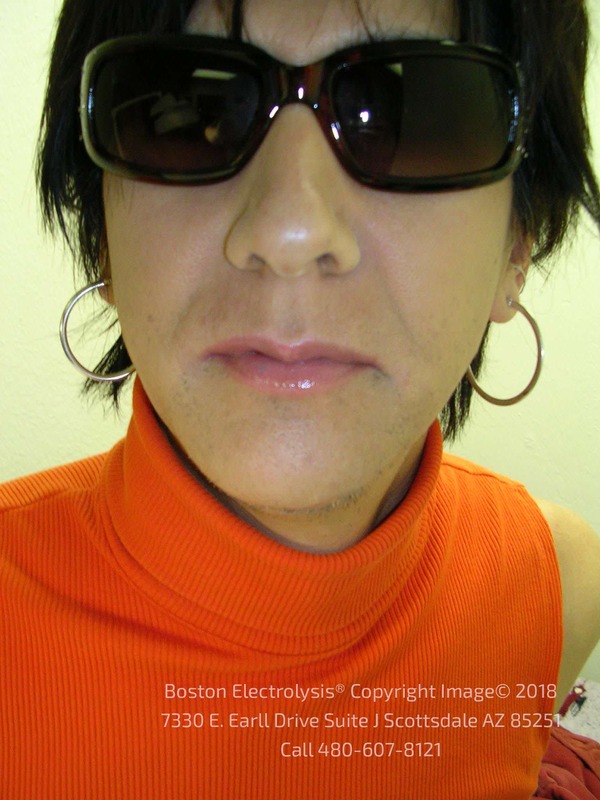 Furthermore, I am the Dean of Boston School of Electrolysis™ the Internet's best source of online educational electrolysis information and an educational resource center for electrologists and consumers. If not otherwise noted, I am the author of all on this website. Customarily the best electrolysis schools Deans have always provided and maintained a private practice for those seeking top-quality electrolysis treatments. 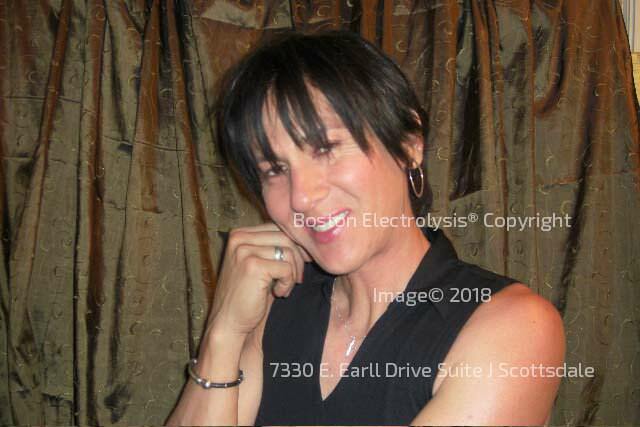 Presently I maintain Boston Electrolysis ® Private Practice © as a full time practice and the Boston School Of Electrolysis website as a public enlightening resource of educational information for the consumer and electrologist. Before your treatment begins I do a complete in depth no fee history and evaluation using The Electrologists Diagnostic Case History Card ©, which was designed and written by myself. Furthermore, I perform all treatments with superlative American manufactured late-model State Of The Art R.A. Fischer CBX-Pro-Blend Series Four Computerized Epilators. In addition, I use predated Sterex sterilized disposable probes with triple sterilized instruments and gloves. Presently I am one of the few licensed and registered electrologists in Arizona that specializes in the treatment of unwanted facial hair problems from minor to severe using the best American manufactured State Of The Art Computerized Epilators. In addition, if your unwanted hair problem is caused by genetic or an endocrine disorder such as Polycystic Ovarian Syndrome, Boston Electrolysis ® Private Practice © is your best choice for safe permanent hair removal. This is all possible because I have worked very hard to set up the Metro Phoenix areas first and only Polycystic Ovarian Clinic for unwanted hair problems. This means your electrolysis treatments could be coordinated with physician Barbara Lipschitz, M.D., Internal Medicine Specialist of the Central Phoenix Medical Clinic or your own physician. This is possible because endocrine disorders that cause a patient's hormonal imbalances which in turn cause unwanted hair problems can now be diagnosed, corrected, improved and maintained by medications, treatments, and procedures. I succeed because I have worked hard to become educated and have dedicated my life to the advancement of my chosen profession as a licensed and registered electrologist with 33 years of experience. If you have an unwanted facial hair problem from minor to severe, I am the electrologist you can count on for safe permanent hair removal and for that reason that I take pride in my professional experience, abilities and expertise plus, I provide a written guarantee of excellence because, "I Practice Electrolysis as a Scientific Art With A Medical Approach©". Kimberly Williams, R.E., Dean Arizona's first and only electrologist who guarantees in writing that after one treatment, if you can locate a better electrologist, bring me the receipt and I will refund your first treatment fee up to one half hour of the treated time. In addition to that, even on difficult cases, I can work at one-third to one-fourth the time of the average electrologist - licensed or unlicensed. I also guarantee that you will have the most comfortable treatment with no scabbing, scarring or pitting as a direct result of my treatments. So, if you have an unwanted facial hair problem from minor to severe and you want to be hair free give me call at 480-607-8121. 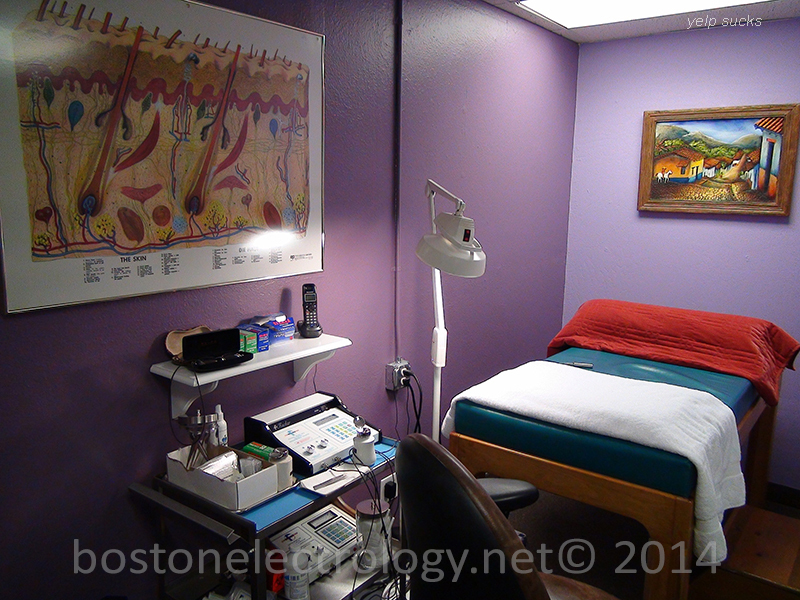 Call Boston Electrolysis ® Private Practice © for a no fee consultation and evaluation; Where Electrolysis Is Practiced As Scientific Art With a Medical Approach ©. Boston Electrologists Get Listed On Boston Electrolysis Today And Build Your Client List Now! IT WILL PAY YOU TO ADVERTISE ON THE BOSTON ELECTROLYSIS© AND BOSTON ELECTROLYSIS® YELLOW PAGES©. YOUR LISTING WILL DELIVER CLIENTS TO YOUR PRACTICE FOR MUCH LESS THAN .COM AND OTHER DIRECTORIES CHARGE. BOSTON ELECTROLYSIS® YELLOW PAGES© FOR LICENSED PROFESSIONALS ONLY! Can you afford not to be listed among the best in your field? For as little as $200.00 for electrologists and $300.00 for laser (the equivalent of only two or three client fees) for a one year listing on BOSTON ELECTROLYSIS® YELLOW PAGES© your practice will receive the exposure that you deserve while you watch your clientele grow! This offer is open to all practicing licensed and registered electrologists who use the laser, med-spa, day-spa's owned or managed by physicians. FOR THE LISTING FORM PLEASE SEE THE FOLLOWING PAGES. To list your practice on the exclusive Boston Electrolysis® Yellow Pages© and The Boston School of Electrolysis Yellow Pages© please fill out the attached form completely and mail in your information with a check made out to Boston Electrolysis®. 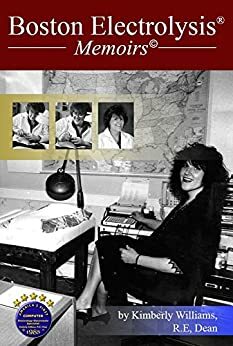 BOSTON ELECTROLYSIS© REVIEW, "ANOTHER TRANSWOMAN TOLD ME SO©"
Established in Los Angeles, Arcus Designs has years of experience working in the web and graphics industry. We have worked with all types of institutions including medical, real estate, authors, retail, and more. We have noticed that there are many businesses that are held back from their full potential due to having a small web presence or outdated sites. Our goal is to remedy this through creating beautiful sites and graphics for businesses based off the highest design standards. If you are ready to take your business to the next level, send us an email or call us for a consultation. We are happy to help you! Below are ten Boston electrologists who are experienced, educated, trained, tested, licensed and registered electrologist who are dedicated to our chosen profession. 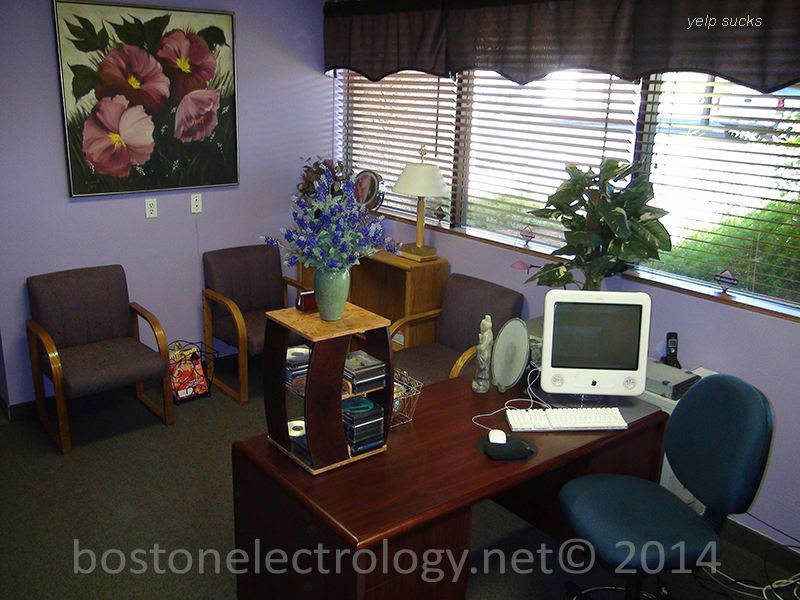 To find your electrologist in Downtown Boston or the Boston-Metro-Area just visit Boston Electrolysis Yellow Pages at www.bostonelectrolysisyellowpages.com with over 300 electrologists listed throughout the Commonwealth of Massachusetts. The Boston Electrolysis® National Yellow Pages© are for licensed and registered electrologists only and covers the following states; Arizona, New Hampshire, Connecticut, California, Ohio, Oregon, Massachusetts, New Hampshire, Utah and more, and soon all of the USA. Currently the Boston Electrolysis® Yellow Pages© for The Commonwealth of Massachusetts has over three hundred electrologists listed in the following Boston Metro-Area and regional Massachusetts in following cities and towns; Acton, Allston, Arlington, Ashland, Andover, Bedford, Belmont, Billerica, Boston, Brocton, Brookline, Belmont, Beverly, Bridgewater, Burlington, Cambridge, Canton, Chelmsford, Danvers, Dover, Everett, East Boston, Fitchburg, Florence, Framingham, Georgetown, Groton, Hanover, Haverhill, Hingham, Holden, Hyannis, Kingston, Lawrence, Leominster, Lexington, Lynn, Lynnfield, Malden, Marblehead, Medford, Melrose, Milford, Millis, Methuen, Middleton, Milton, Natick, Newton, Newton Center, Newtonville, Needham, New Bedford, Newburyport, North Dartmouth, North Reading, Norwood, Norwell, Peabody, Pembroke, Plymouth, Pocasset, Quincy, Randolph, Reading, North Reading, Revere, Rockland, Roslindale, Salem, Scituate, Somerville, South Attleboro, South Easton, Springfield, Stoneham, Stoughton, Sharon, Stow, Swampscott, Sudbury, Wakefield, Walpole, Waltham, Ware, Watertown, Wellesley, Westwood, West Roxbury, Weymouth, Winchester, Wilmington, Winthrop and Woburn. Paula A. A Doherty, R.E. No Nonsense for Boston Electrolysis ® Private Practice © for safe permanent hair removal announces the opening of metropolitan Phoenix areas first woman's electrolysis clinic for patients with Polycystic Ovarian Syndrome and endocrine disorders that cause unwanted facial hair problems. Founded by Kimberly Williams, R.E. Dean and Barbara Lipschitz, M.D. of Central Phoenix Medical Clinic is for women who have a minor, moderate or severe unwanted facial hair problem. Until recently most women who have this type of unwanted facial hair problem and condition have believed that this particular endocrine disorder is hopeless and non-treatable. Nevertheless, new advances in medicine and professional cooperation between the physician and the electrologist have made this specialized treatment a successful reality. Kimberly Williams, R.E., Dean of Boston School of Electrolysis™ of Scottsdale, Arizona and Barbara Lipschitz, M.D. of Central Phoenix Medical Clinic, Phoenix Arizona have combined their resources. In this joint effort we want all women with Polycystic Ovary Syndrome and other endocrine disorders to be aware that their unwanted hair problems are not hopeless. Kimberly Williams, R.E., Dean of Boston School of Electrolysis™ and Barbara Lipschitz, M.D. of Central Phoenix Medical Clinic Arizona want all women with Polycystic Ovary Syndrome to know there are new treatments, medications and procedures that will counter-act this endocrine imbalance that stimulates unwanted facial hair growth from minor severe. It's a known fact that women with polycystic ovaries end up frustrated after trying every form of temporary hair removal such as waxing, plucking, shaving and even laser parlor treatments that can make your unwanted hair problem ten times worse than it was to begin with. Additionally, most residents of Arizona are not aware that there is no license and registration or required education to practice electrolysis and temporary laser hair removal in Arizona. It is known fact in professional circles that only experienced licensed and registered electrologists possess the basic education in theoretically applied medical sciences coupled with practical application to successfully treat minor, moderate and severe unwanted facial hair problems caused by Polycystic Ovarian Syndrome and other endocrine disorders. So when you arrive at Boston School of Electrolysis I do a thorough medical evaluation using The Electrologists Diagnostic Case History© which includes and records a detailed medical status of your condition that causes unwanted facial hair problems. From there we can start your treatment although at same time you have a direct referral to Barbara Lipschitz, M.D., Internal Medicine Specialist who will implement your medical diagnostics, blood chemistry, medications and procedures and over all treatment program to correct and control the hormonal imbalance that started your unwanted hair problem. Women with polycystic ovaries and other endocrine disorders (glandular disorders) need to know that electrolysis has new methods and techniques. Example up until ten years ago most electrologists could only treat the symptoms of polycystic ovaries, which is, unwanted facial hair. However most women do not know why this causes their unwanted hair problem. To state it most simply polycystic ovaries interfere with or block the absorption of estrogen into your system. Additionally most women do not know, as part of their genetic character that women also produce male hormones. With the estrogen being blocked and your body being unable to absorb it into the system the male hormones become predominant and that stimulates excess FSH (Follicle Stimulating Hormones). From that point on that's when your unwanted hair problem starts. Fact, Polycystic Ovarian Syndrome causes male secondary characteristics such as unwanted facial hair, weight gain, acne, male receding hairline, deepening of voice and other complications. However with today's modern medicine the right diagnosis, medications, treatments and procedures polycystic ovaries can be successfully managed and the affects of the male hormones counter-acted with a diuretic and estrogen supplement. Once you have eliminated the root cause of your hair problem you will be amazed at how effective your electrolysis treatments become in addition your skin will become clear soft and supple. Additionally, your energy level will increase and with this renewed energy coupled with diet and exercise weight loss becomes possible and your over all health improves. In my professional opinion nothing is more damaging to a woman's self-esteem and overall health and appearance when she has an unwanted facial hair problem caused by polycystic ovaries that are left untreated. Fact, endocrine and genetic unwanted facial hair problems from minor to severe have always been my specialty. Additionally it is important for every woman with Polycystic Ovarian Syndrome to be knowledgeable about her health. From past professional experiences I know when your electrologist and physician team up and coordinate your electrolysis treatments with medications your results can be from moderate to completely clear. It is known facts women with Polycystic Ovarian Syndrome who receive the right medical care often attain their goal of complete permanent hair removal, regained health and emotional well-being. On the other hand to successfully treat unwanted facial hair caused by polycystic ovaries effectively one must take the time and make the effort and be patient. Without one doubt I believe in my professional ability to provide you this specialized treatment that's is based on scientific fact, medical care and skilled practical application of my technique. For the record I know exactly how frustrating it is to have a minor, moderate or severe unwanted facial hair problem that's why I became an electrologist. If you are ready, willing and able to take the first step I'll be glad to be your electrologist. Nevertheless I want all women to know if you have Polycystic Ovarian Syndrome and other endocrine disorders that cause your unwanted facial hair problems to be aware that results vary. However, it is my professional opinion and experience that patients undergoing coordinated treatment achieve the best results. Additionally, other benefits from coordinated treatment include increased energy, weight loss and emotional well-being. Without one doubt a woman with a moderate to severe unwanted facial hair problem caused by Polycystic Ovarian Syndrome has an uphill battle and it would be my pleasure to help achieve your goal of a hair free complexion. Summation, your best electrologists are always educated, trained, tested licensed and registered. Fact, I always remember my time at Miss Kelly's School Of Electrolysis and I would recall students in my class who would say, "What do I need to learn about endocrinology for, I'll never use this?" Often student electrologists who question the need for theoretical sciences assume is not necessary because they have been led to believe that electrolysis is about treating the hair only. Wrong, the base knowledge of theoretical sciences that I learned provided me with the ability not only to use that knowledge but also to expand and build upon it. Fact, electrolysis is an exact procedure of attrition and when you eliminate, contain or reduce the root cause of your unwanted facial hair problem it can only expedite and reduce the amount of time needed to treat and permanently remove those unwanted hairs. In addition, patients with endocrine disorders not only rid themselves of their unwanted facial hair problem but also gain an improved complexion along with your health and well being. In my book, that is what professional electrologist is all about. For the record non-licensed electrologists who have recently become Certified Laser Parlor Operators do not have the ability and requisite education to comprehend the complexities of endocrine disorders such as polycystic ovaries. Furthermore, Laser Parlor operators have no required educational curriculum longer than forty hours and in addition to that there are no required license or registration to use the laser for temporary hair removal in the U.S.A. Without one doubt this makes the licensed and registered electrologist the best and only choice for safe permanent hair removal. Furthermore I would like to acquaint you with your my professional education at Miss Kelly's School of Electrology, Quincy, and Massachusetts from 1975 to graduation in 1979 taught me that electrolysis is a bona fide medical profession. During that time my curriculum consisted of anatomy, physiology, endocrinology, histology, biology, microbiology, pharmacology, hygiene & sanitation, sterilization, electricity and ethics. In addition there was required 600 hours of practical training. After successfully passing the dual Massachusetts State Board examinations, which was a 2-hour written, and one-hour practical I received my license and registration as a Massachusetts licensed and registered electrologist. After 26 years as a practicing electrologist and an Arizona resident from 1991 I am appalled that Arizona to this day does not have any requisite educational or licensing registration to practice as an electrologist a fact that many Arizona residents are still not aware of. Fact, and for the record if you have an unwanted facial hair problem from minor to severe I am the electrologist you can count on with a written guarantee of excellence. Arizona's first and only electrologist who guarantees in writing that after one treatment, if you can locate a better electrologist, bring me the receipt and I will refund your first treatment fee. In addition to that, even on difficult cases, I can work at one-third to one-fourth the time of the average electrologist - licensed or unlicensed. I also guarantee that you will have the most comfortable treatment with no scabbing, scarring or pitting as direct result of my treatments©. Boston Electrolysis All Rights Reserved Copyright 2005-2013. Does Anyone Care? Electrolysis vs Laser Hair Removal. Boston Electrolysis ® - Kalo Hair Growth Inhibitor Linked To Breast Cancer? Boston Electrolysis ® - What Is A Certified Professional Electrologist? Boston Electrolysis ® - What Do You See In The Mirror? Boston Electrolysis ® - My Unwanted Trespasser James W. Walker VII, CPE!